I cannot believe it; every year the change of the seasons takes me by surprise (usually when I realise I need to put new batteries in my bike lights). But the leaves are turning, conkers are falling on my head – and apples are ready to be picked. Cambridge University Botanic Garden Apple Day on Sunday 27 October. Come and see us at these events – we will have grafted trees for sale at the Botanic Garden, while Scotsdales is hosting a recipe swap, so bring your family favourites. I am also giving a talk to the Plant Heritage Society on Saturday 12 October. 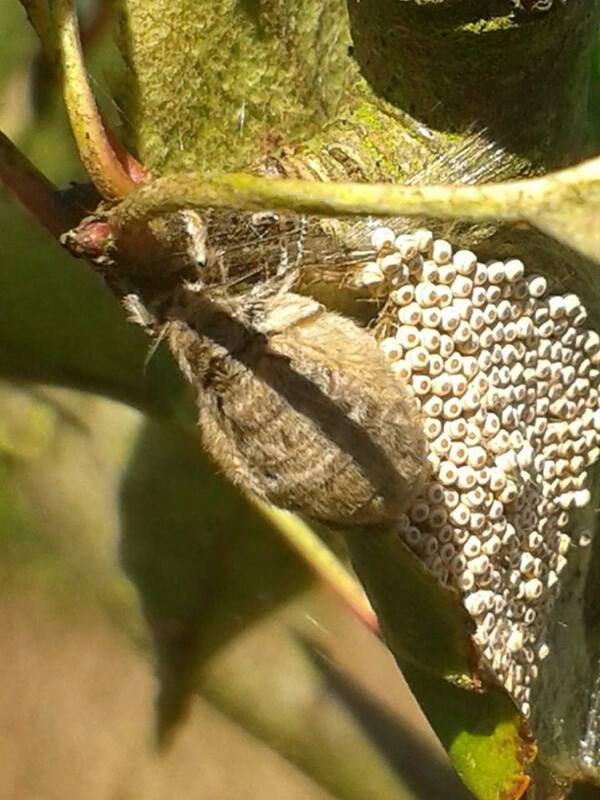 Meanwhile, down in the orchard today, I found the nest of a Rusty Tussock Moth – with Mama moth in residence, looking after her eggs. And that’s a lot of babies!